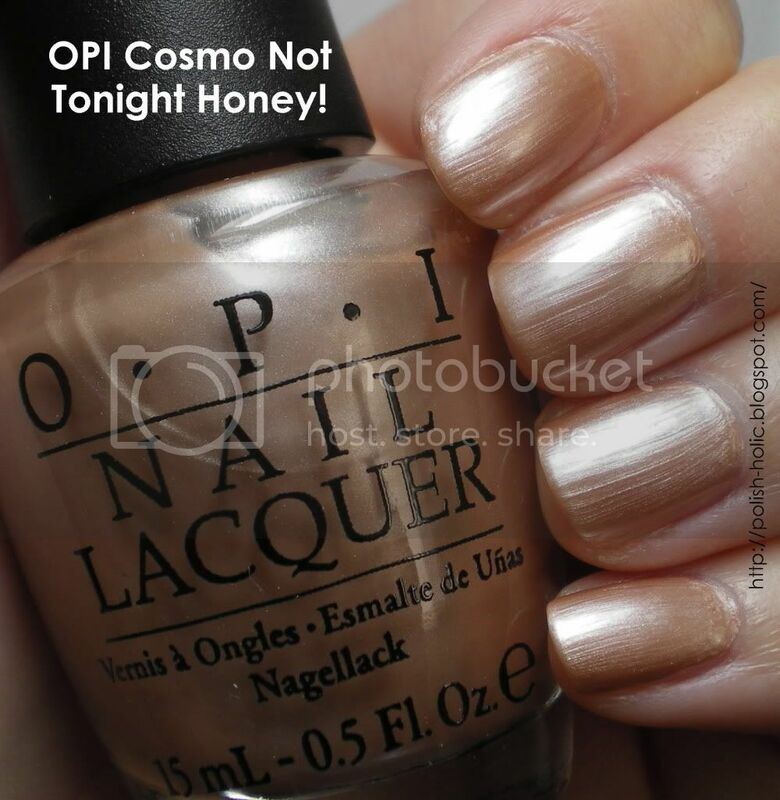 PerryPie's Nail Polish Adventures: OPI Cosmo Not Tonight Honey! I'm baaaaaaack!!! I have so much to show you guys from my trip. Look for it in my pic of the moment for the next few posts. This is three coats with top coat. Applied smoothly but it's streaky, as most pearly polishes tend to be. It's also a bit sheer. Even at three coats you can see VNL, but as most of you may know, I don't mind a good sheer polish. And I actually preferred the way it looked at two coats. Overall I'm really glad I grab this. And for $5, it was a pretty good deal. Pic of the Moment: So I took quite a few pictures while I was in China. And lots of boring vid. But this is the pic I wanted to show you the most. My massively swollen mosquito bite. I got 17 of these. All but one of them swelled up. I always have a really bad reaction to Chinese mosquitos and this time was no exception. My allergic reaction was so bad that I had to start taking anti-histamines because my joints were hurting so bad. I could barely move my arms. My trips to China always remind me why I'm on a personal mission to kill every single mosquito ever hatched. Lol, I'd almost feel bad for thinking evil thoughts toward mosquitos, but then I remember this bite. And many others that I've received. Glad to hear you're back safe besides the monster mosquito bites. You can try dabbing some tea tree oil on it, that helps me to recover faster. Anyway I'll go down to the post office on Monday to mail your swap package! I'll give that a try next time! Um...that is one scary mosquito bite! Congrats on the new job!!!! Thanks, I'm finding as I get older, the jet lag is definitely worse. *sigh* I have had this polish for ever! For some reason I have never tried it though. But it looks nice! It's definitely one that surprises you. Hi! love your NOTDs! Stumbled upon your site. Envy that OPI is on $5 overthere! it cost us RM59 per bottle over here in Malaysia. Thats about USD19!! Just ordered this color. Hope it looks good on me! Fashionista: Glad you like my blog. And our OPI isn't normally $5. I found this one while digging through the clearance bin. But 19 USD is insane. I had the exact same reaction to one here in the U.S., exact same diamond shape. I am Filipino (Canadian born). Funny thing is when I visited the Philippines, the mosquito bites were no big deal. Very interesting. Curious did the bite leave bruise/scar? Sometimes mine do and it's not from scratching. Yeah! Mine left a scar, and I do not scratch. At all. It's weird you reacted so badly to a US mosquito but not to Filipino ones. I know my reactions aren't as bad to Canadian ones, but really bad to Chinese ones and I'm Cnd born Chinese. How unusual! I wish I had taken a picture because mine looked exactly like yours (size and shape). After the redness it looked like a bruise from a small child biting me. The closest name I could find for it is "Skeeter Syndrome" which is basically an allergy to the saliva of mosquitoes. This one got me bad because the sun was on my back and I couldn't feel the bite so it took its time. Doc looked at today and suggested next time to apply cortisone which helps with the inflammation. I might try out one of the clip on repellants because I am lazy about spraying, mosquitoes love me.